Daddydahc Apps - mobile apps for Android and Apple smart phones and tablets. Simple apps that simply work. That is the goal of Daddydahc Apps. The apps that I develop come from not finding what I needed in the various app marketplaces. Many apps these days are either overly complicated to use, go way overboard in options, or on the complete opposite spectrum, don't do what you need them to do. The apps that I make will hopefull fill that gap and provide a value resource that fits your smart phone app needs. Just a developer who wanted to makes apps that meet the needs of his friends and family. I am not out to make it big in the mobile app market, just want to provide something useful. Located in Southern California. I am literally one hour away from the beach, or the mountains, or the desert. I can go skiing in the morning, then head to the beach to watch the sunset in the evening. Life is great living in SoCal. Some friends of mine complained that an app they purchased didn't do what they wanted but couldn't find anything better. So, I decided to put my talents to the test and made an app that met all their requirements and Daddyahc Apps was formed. All inquiries wll be screened and if it is something I can accomplish, I will be sure to give you cudos when it goes to market. Easily keep track of baseball scores. 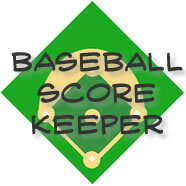 Customize teams names, auto advance to next inning after third out, keep a log of your scores. No scoreboard on the field? No problem. 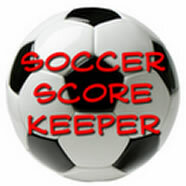 Soccer Score Keeper tracks goals scored and keeps the time for each quarter/half. Customize teams names and send a recap of the game to your Facebook account (Android only).